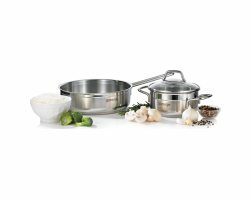 The cookware is suitable for use on electric, gas, and induction cooktops. The 8-mm-thick flat bottom provides optimum contact with the cooking surface and the fastest cooking times. You can also use it in an oven at temperatures up to 200 ᵒC, and without lid. 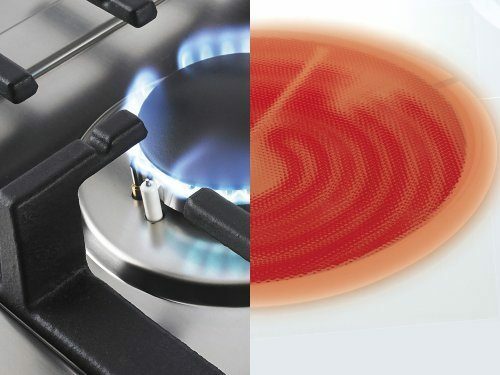 Gorenje's special Solar-Base bottom ensures even distribution of temperature over the entire surface of the bottom. It is 8 mm thick and it ensures maximum time and energy savings. Food is prepared quickly and with lower energy costs. Close fitting tempered glass lid seals in heat and moisture. 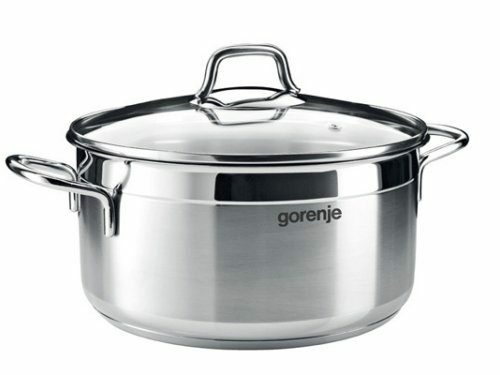 It features a steam vent and a durable stainless steel handle. 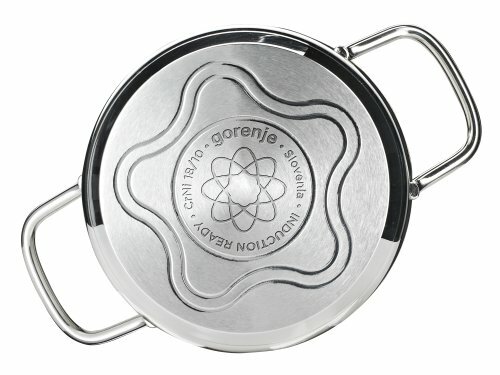 A see-through glass lid allows monitoring the process of cooking. 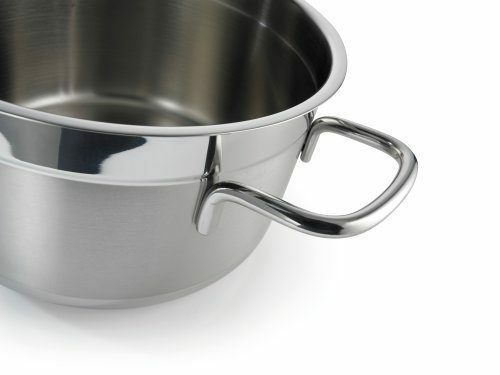 The Silver Countess cookware has handles welded on 4 spots, which allows better grip and high stability. They are also resistant to heat. 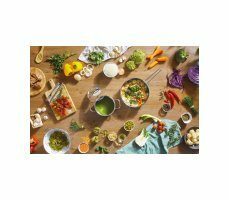 Maintenance of this high-quality stainless steel cookware is a breeze and it guarantees a long useful life. 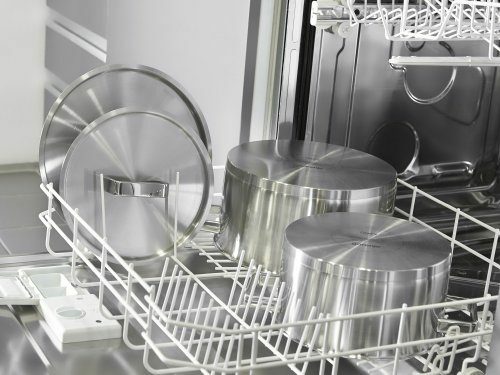 The pot can be cleaned in a dishwasher. Material ensures easy cleaning, which means higher hygiene. You can forget about the food sticking, strong rubbing and use of abrasive cleaners. 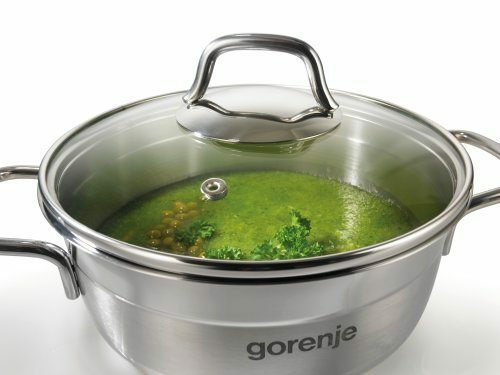 Cookware is resistant to high temperatures and quick rising or falling of the temperature.